Rain and storms will develop late Wednesday through Wednesday night as a cold front pushes through the area. 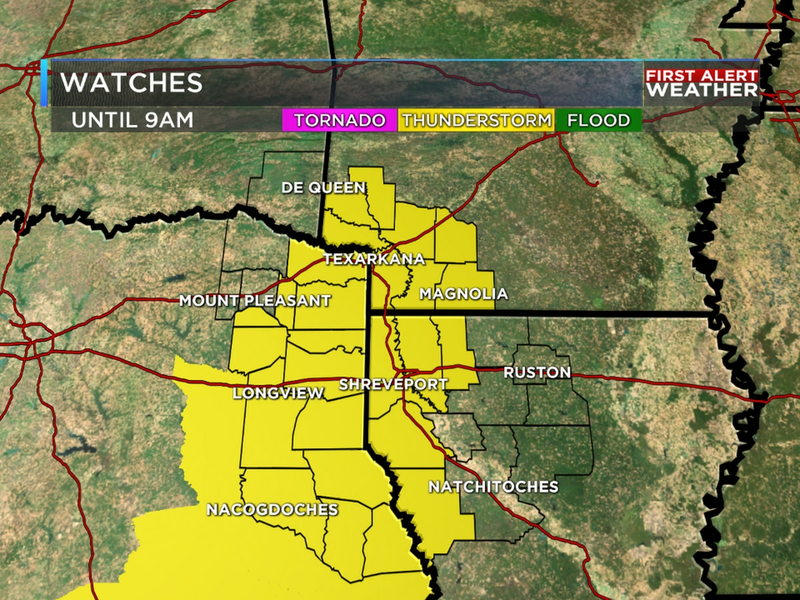 Wednesday is the next day the KSLA First Alert Weather Team is keeping a close eye on for the potential for severe weather. Widespread rain and storms will likely develop as a cold front moves through the area late Wednesday into Wednesday night. There will be the potential for severe weather and locally heavy rainfall during this time. The greatest threat of severe weather will likely develop across the northwestern corner of the ArkLaTex late Wednesday afternoon and evening. This is the area that will be under an ENHANCED risk of severe weather. An ENHANCED risk of severe weather is 3 out of 5 on the severe weather scale, so there will be medium threat of severe weather from Longview to Texarkana and points west. The rain and storms should weaken as they move from west to east across the ArkLaTex Wednesday night. However, there will still be a threat of severe weather. Shreveport-Bossier, Magnolia, AR and Nacogdoches, TX will be under a SLIGHT risk of severe weather late Wednesday through Wednesday night. There is a MARGINAL risk of severe weather from Ruston down to Natchitoches Wednesday night through early Thursday morning. Right now, it looks like all modes of severe weather will be possible: large hail, strong to damaging wind gusts and a low threat of tornadoes. The greatest threat of large hail will likely develop across portions of E TX and SE OK. Widespread heavy rainfall and flooding look unlikely. Widespread rainfall totals Wednesday through Thursday morning will likely be between 1-3″ of rain. Locally heavy rainfall and flooding will be possible where the strongest storms and heaviest rain develops. Storms will start to develop across the I-30 corridor and just west of the ArkLaTex by 4 p.m. Wednesday. The rain and storms will become more widespread as they push from west to east across the area. 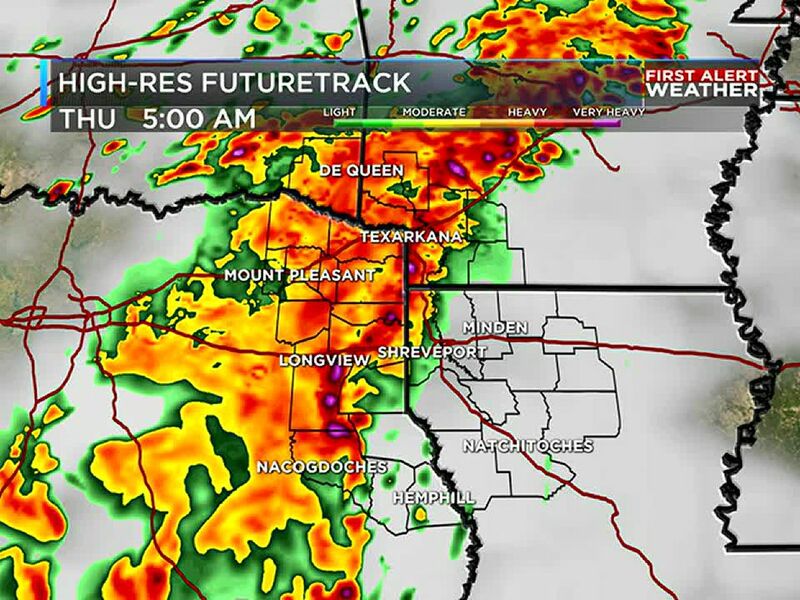 The latest run of FutureTrack shows widespread showers and storms impacting the area by 12 a.m. Rain and a few storms will linger across NW LA Thursday morning. The rain and storms will move east of the area by Thursday afternoon. This cold front will likely be our only chance of rain through Easter weekend. From this distance, Easter weekend is looking sunny and warm. 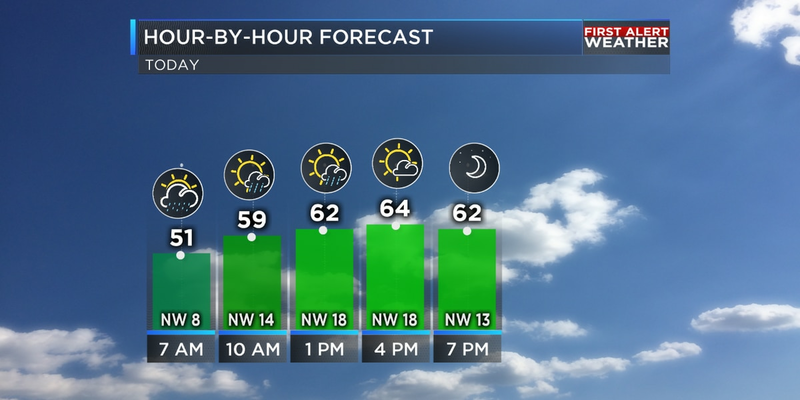 Highs will be in the mid to upper 70s on Saturday and near 80 degrees on Sunday. After Wednesday, our next round of showers and storms won’t be until the middle of next week.